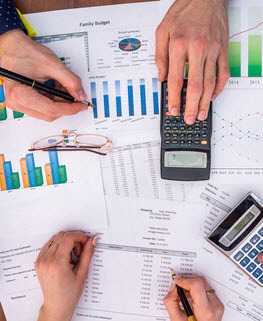 Aside from being on the receiving end of a lawsuit, quite possibly one of the scariest things that a business owner can go through is a tax audit. Even if you do everything right, the IRS may decide that this tax year is your year to go under the microscope. If they do contact you, will you be prepared? At Cloud Willis & Ellis, our Birmingham corporate law attorneys understand that a tax audit can be scary, but we also know that with the proper preparation, you can make the process so much easier on yourself. Your CPA is going to want a number of documents from you, documents that most business owners lose amidst all their other paperwork. The IRS, unfortunately, does not care if you “lost a document or two”—they want solid evidence of every claim that you made. If you are like most people and do not have a set place in which you keep all of your important documents, use this post as your guide from here on out. Articles of Organization: You should have two copies of this: the original, which should be stored in a secure place, and a copy, which should be stored digitally. Members List: Keep a list of all LLC members that contains each member’s address, their percentage ownership, their role within the LLC, and their share of profits and losses. Operating Agreement: This agreement is a contract that outlines how the LLC should be operated and how certain situations should be dealt with. Keep the original version in a safe place, and a copy of it stored digitally. Meetings’ Minutes and Consent: Many businesses do not keep minutes of their own meetings, but they should, especially when big decisions are made. Minutes can prove that all members were involved in the decision making process if a dispute regarding the matter should ever arise. 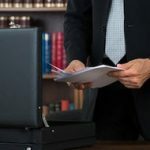 Articles of Incorporation: You should have two copies of this: the original, which should be stored in a secure place, and a copy, which you should store digitally. Meeting Minutes and Consent: According to Section 10A-2-16.01., Alabama corporations are required to keep records of approval by all board members when major decisions are made. These approvals should be solidified via written consent. Shareholders must also present minutes from their meetings. Bylaws: Bylaws act as an operating agreement and dictate how the business should be run. This agreement should detail matters such as the number of members on the board of directors, how meetings are to be conducted, and how often those meetings should occur. Shareholders List: Like an LLC members list, the shareholder list must contain the names of all the shareholders of the corporation, as well as their contact information, their amount of shares, the value of their shares, and any disbursements. Partnership Agreement: The partnership agreement details the responsibilities, roles, and salary of each partner of the organization. This agreement also acts like a set of bylaws in that it outlines what should happen when certain situations arise. The original document should be stored in a secure place, while a scanned copy should be stored digitally. EIN: All business owners except for sole proprietors are required to have an EIN. However, we strongly recommend that sole proprietors get an EIN just so that, in the event that they do hire employees or contract out work, they can put their EIN number on the paperwork instead of their social security number. Tax Returns: You may be audited for something that was on your return three years ago, or even five years ago. For this reason, we recommend that all business owners—and non-business owners, for that matter—keep their returns for the previous six to seven years. Books: You should keep a full accounting of your finances for the past three to seven years for the same reason that you should keep your previous returns—to help in the event of an audit. Property List: Have a list of all your business’s property readily available as well. 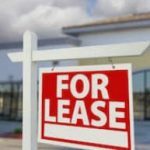 This list should include a list of business properties, equipment, inventory, and supplies. Businesses are subject to numerous requirements from multiple different entities, and it can be difficult to keep track of them all. For this reason, it is nice to have a Birmingham corporate attorney on retainer. A knowledgeable lawyer can help your business implement effective processes and procedures for keeping track of the numerous requirements so that should the need arise, you have all the necessary documents on hand and ready to show. Get organized today, and call Cloud Willis & Ellis in Birmingham to schedule an appointment with a corporate law attorney now.